A proud life-long Westerner, Thomas Reed has been surrounded by horses since before he can remember, and his unabashed admiration of those majestic creatures echoes on every page of his memoir, Give Me Mountains for My Horses. At once lyrical and captivating, absorbing and adventurous, Reed’s recollections of some of his most intimate moments with these animals will entrance riders and non-riders alike, with their sophistication and relatability. 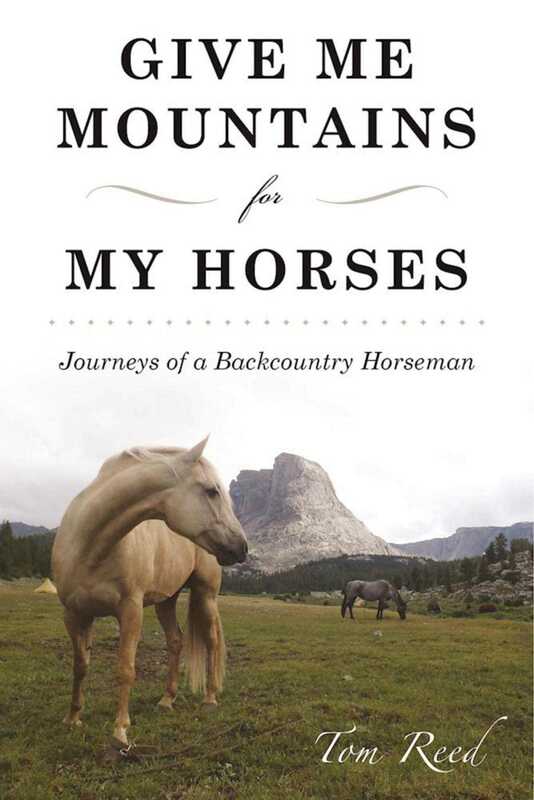 Many of stories found within Give Me Mountains for My Horses feature unforgettable horses in the scenic splendor of the American West, specifically the Greater Yellowstone backcountry. Here, readers will meet Lad, a large stallion whose sheer beauty outstrips all comparison and draws admiration from all who encounter him. There is Hank, a white stallion whose lean muscle and sturdy hid make him an incomparable ride. And follow Jade, a tried-and-true mountain lady” of the highest degree who has an uncanny ability to correctly follow lost trails. These three and dozens of other equines round out the cast of Reed’s unforgettable tales of buying and selling horses, mishaps while on the trail, and falling in love every day with beautiful animals. Elegant and entrancing, Give Me Mountains for My Horses will transport readers and leave them hungry for more.